Who doesn’t love that clean mountain air on your way up the ski lift? To some people owning a home in the mountains sounds like a dream. If you are considering purchasing a property, I recommend finding it in Colorado. The Colorado economy is red-hot, and you could get in on property that could greatly improve your financial standing over the next few years. 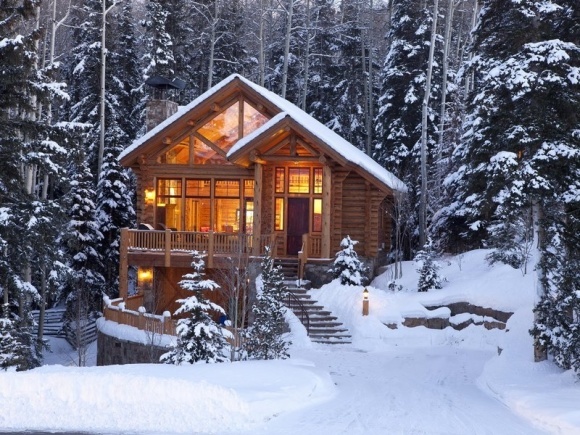 Second homes make great rental properties, and Colorado is the perfect place to own a rental. The 2016-2017 Colorado ski season netted nearly 3,000 homeowners approximately $32 million dollars on Airbnb rentals alone. Yes, 121,000 visitors booked vacation homes across ski country from Breckenridge to Vail across the season and doubled the amount of cash raked in by homeowners. What would you do with your share of $32 million? Buy a second property in ski country and find out. Buying a second home but not interested in rental income? A second home is still a personal residence, which means you could deduct both property taxes and mortgage interest from your taxes. If and when you’re ready to sell, you could make up to $500,000 profit on the sale, tax-free, assuming your Colorado country home has become your primary residence. Vail and Beaver Creek are playgrounds for the rich and famous – and hotel and vacation rental prices reflect it. Owning property in Colorado means you can enjoy the fresh mountain air whenever you want without being subject to Kardashian-level resort prices. Fancy a weekend of skiing in Vail but don’t want to drive home at the end of the day? With a second home, all you need to do is pack a bag. Depending on your age, your 401k or another pension may not be enough to help you retire to the standards to which you are accustomed. Real estate can be a smart way to diversify your investment portfolio and prepare for retirement sooner. Use it as an income-producing pension or create an extra layer of protection for your market-based investments. Buying a second home is commonly associated with buying bigger, better properties. But it’s also a good opportunity to buy a smaller place or one more suitable for retirement. Whether you’re looking for a managed condominium, a house in a smaller community, or even just a place with fewer stairs, you can find all this and more – with views you’ll only find in Colorado. Eagle County, Colorado offers spectacular mountain views that can be enjoyed from your investment property. As your family grows and changes, stuffing the kids into a single hotel room won’t work at some point. Let’s not even get started on those dreaded scheduling conflicts. But how do you all stay together to make family vacations a time of togetherness? A second property is a great solution to the family vacation problem. It offers enough bedrooms and bathrooms for everyone to have their space. Then, there’s the added benefit of having a full kitchen and living quarters for spending time together. Choose a property in Colorado, and you’ll find not only the best vacation home for your family but a backyard you just can’t beat. With parks galore, you’ll never run out of things to do. One of the joys of growing older is finally earning disposable income. Many choose to spend their extra cash on gadgets, vacations, or nights out on the town. And why shouldn’t you? There’s nothing wrong with splurging on nice things once in a while. But eventually, new devices slow, your suntan turns into sun damage, and you’ve been to your favorite restaurant five too many times. Instead of spending your hard earned money on temporary experiences, invest it and make it work for you. Your pocketbook and retirement account will thank you for it. Is there a special place in Colorado that means something to you and your family? A place filled with milestones and happy memories? Preserve it forever by buying a second property there. A second home gives everyone a reason to keep coming back year after year to make new memories even as old ones begin to fade. House swapping is an ever popular method of taking a vacation and walking in someone else’s shoes. Owning a Colorado property could boost your popularity among other house swappers because of the state’s growing tourism sector. A second property here could earn you a vacation in some of the world’s other most desirable destinations as visitors arrive in droves seeking that alpenglow. Colorado is a tough place for first time home buyers. They simply don’t have the disposable income available to compete. But if you can afford a second home and have the experience to back it up, then Colorado is the perfect place to buy. Whether you’re looking to hold the property or generate revenue with rental income, the Centennial State is the place to be. Buying a second home has many benefits and finding that property in Colorado offers even more. With a wide range of available properties in many communities, I’d be honored to show you a house ready to fill with new memories. Let me show you the beauty of owning property in Colorado’s Eagle County.